With the first week of the NFL season, most sportsbooks make a big profit from all of the bets coming in, but this year things changed. Most of the books in Vegas reported heavy losses on the Sunday games, as there were too many fans betting on the favorites, and worst of all (for them), the favorites actually covering the spread. Many different Vegas casinos and books were involved in these losses including, Westgate SuperBook, Wynn, William Hill, MGM, Caesars, CG Technology, Stratosphere, and Station Casinos. Most of the opening Sundays are big for them, with the hopes that the underdogs cover the spread. The opener last season went 10 in 13 games where the underdog covered the spread, making it a huge success, and very profitable for the sportsbooks. However, that all changed this year. The favorites went 9-4 against the spread on Sunday, delivering a big blow to their profits. During the evening, their one small salvation was the New York Giants managing to cover against the Cowboys in a 27-26 loss. The Green Bay Packers and the Miami Dolphins both covered the spread, and that simply started the snowball. 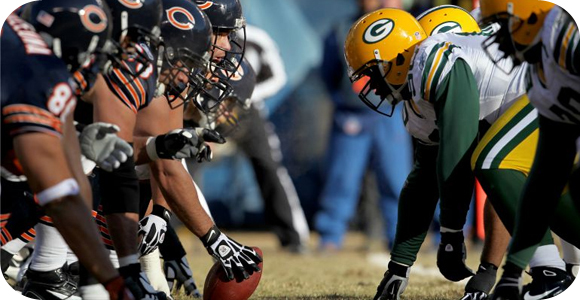 William Hill reported that 80% of the money wagered on the Packers-Bears game was on the Packers, and they managed to cover the 6.5-point with a 31-23 victory. At the same time, 77% of the money was wagered on the Dolphins, and they managed to cover the 4-point with their 17-10 win. A lot of more unexpected games happened, including the Rams beating the Seahawks 34-31 in overtime. Many sportsbooks look forward to football season, as it is one of the most profitable times of the year, including the Super Bowl. The trend each year was for them to get a nice profit from most of the underdogs covering the spread, but this year it just didn’t work out in the end. That is what I like about the NFL; the unexpected will tackle you hard if you are not careful.